The English pastime of essay writing is one of the world’s staples of literary art, and London Review of Books encompasses that tradition by presenting a lively and radical production whose mission it is intellectually cover periodicals in all of their forms. 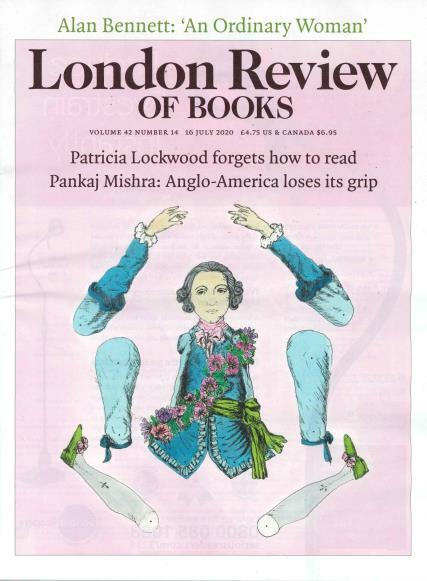 Buy a single copy or subscription to London Review of Books magazine. Some may think that publications about books only bring yawns and easy sleep, while others only focus on those trite books aimed at young teens that pervade the newsstands with their weak plot and lack of intellectual bearings. The English pastime of essay writing is one of the world’s staples of literary art, and London Review of Books encompasses that tradition by presenting a lively and radical production whose mission it is intellectually cover periodicals in all of their forms. With a spectacular range of famous writers, critics, and contributors, this bi-monthly publication gives you the freedom to craft ideas on your own about the work evolving within the world of literature. The contributors are also giving unconditional freedom to say the things that they want to say regarding the periodicals that they are covering, giving you an honest and comprehensive voice that cuts through these works with passion and energy.